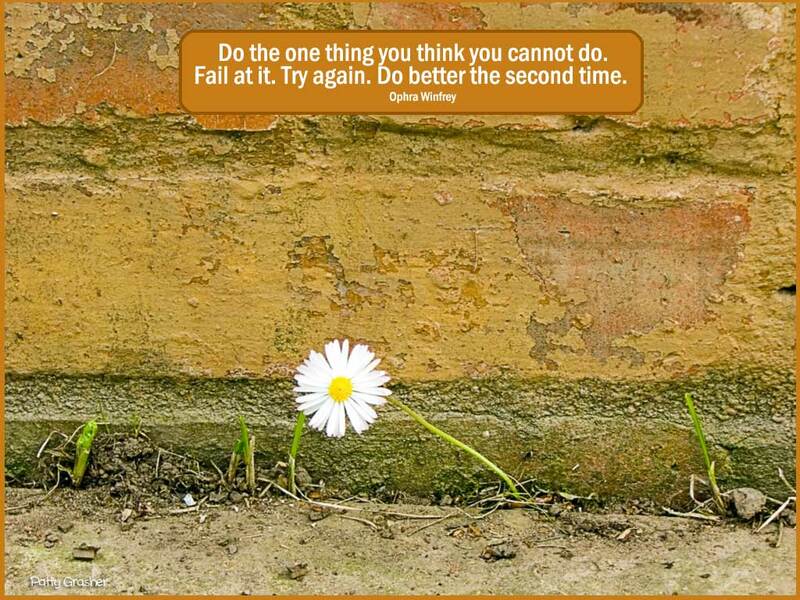 “Do the one thing you think you cannot do. I remember reading once that we think nothing ever new happens but if we look back over the last six months there will have been at least one major happening that changed your life. Hmmm – now I got myself into this train of thought I need to take a look back and see what was the major happening since last April? Journal break . . .
Found a few things – a lot of decision making. July – Decided to sign up for early retirement with Social Security. July 30 – Decided to quit all my many websites and let go of trying to constantly “get somewhere” with them all. August – Decided to put writing children’s book on hold. Maybe permanently. Not finding it fun anymore. So things didn’t so much happen to me – as I made decisions that moved me into a different direction. Guess it still applies. So what about you? Anything new, life-changing happen to you since last April? Kind of fun to take a look at – surprising sometimes. 1. Beautiful fall day. Bright sun, blue sky and 80 degrees. 2. Making steady progress on book. 3. Trying to have a no sugar day. So far, so good.